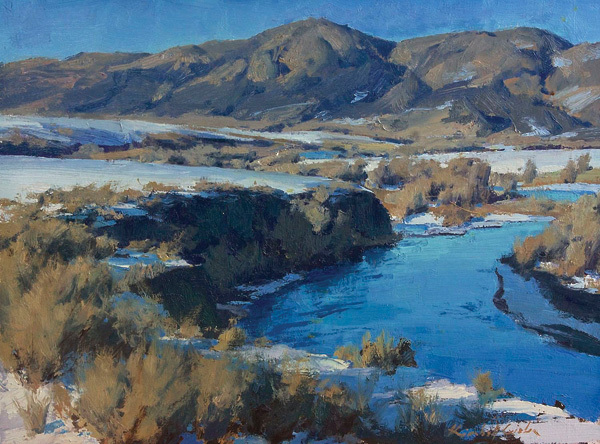 Kimball Geisler, Winter Transitions, oil, 12 x 16. 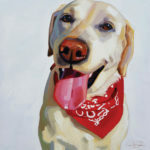 This story was featured in the May 2019 issue of Southwest Art magazine. 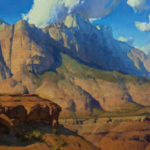 Get the Southwest Art May 2019 print issue or digital download now–then subscribe to Southwest Art and never miss another story. 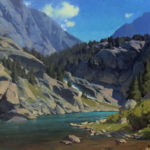 One of the first things you’ll notice about the paintings of Kimball Geisler is the wilderness scenery he frequently depicts—remote, unspoiled places with no shelter or soul in sight. 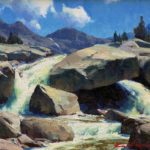 While that might not seem unusual for a landscape painter, you may be surprised to learn that the Idaho artist wasn’t keen on nature (or being alone in it) as a child growing up in Northern California. “My first experiences with nature were terrifying,” Geisler says. “My dad would take me dirt bike riding in the desert, and it scared me so much as a teenager that I stopped riding motorcycles.” And just to be clear, it wasn’t motorcycles that he feared, but the solitary experience of riding them through the vast, lonely desert. Kimball Geisler, Rock Orchard, oil, 12 x 16. 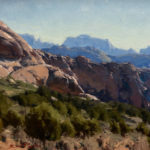 Kimball Geisler, A Zion Greeting, oil, 24 x 48. 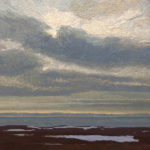 Kimball Geisler, Between Storms, oil. The Mission Gallery, St. George, UT; www.kimballgeisler.com. 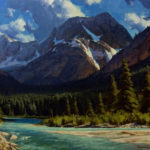 Kimball Geisler, Early Summer Runoff, oil, 11 x 14. Kimball Geisler, North End Cascade, oil, 18 x 24.